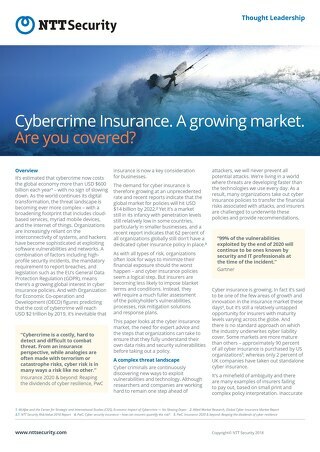 Cybercrime Insurance. A growing market. 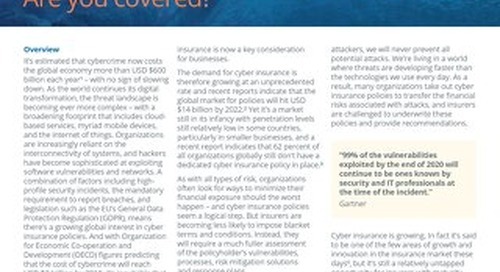 Are you covered? Ransomware has become one of the most common cyber threats to business. How can you prevent your organization from becoming the next victim? 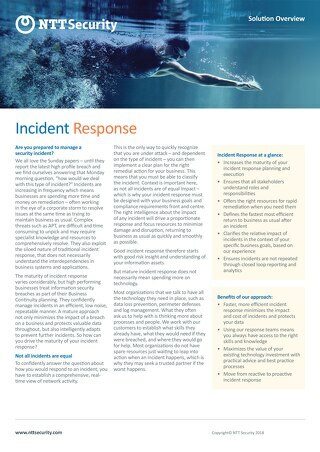 How would you deal with a security incident if it happened today? Could you manage it yourself, or would you need to call in the experts? 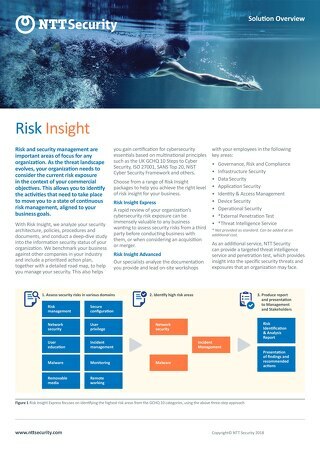 Identify the activities that need to take place to move you to a continuous state of Risk Management. Do you need a comprehensive alternative to managing all your threat dynamics in house? 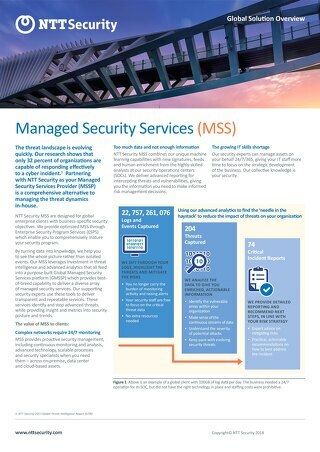 Consider a Managed Security Service.